A hair product review after a long, long time. 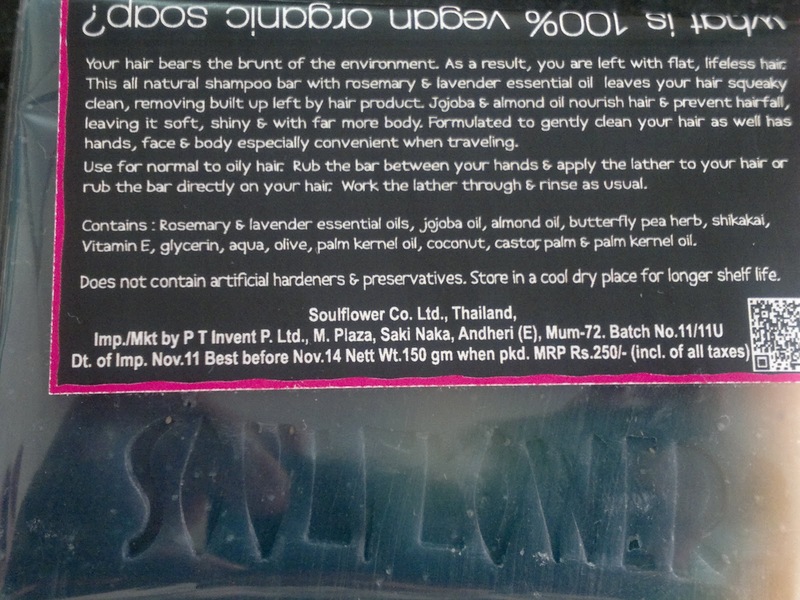 I have heard rave reviews about Soulflower products on a lot of blogs, and had purchased this shampoo bar as a part of my birthday hauls (shown here) and then completely forgot about it. But, while I was cleaning out my stuff, I remembered this shampoo bar and put it to good use. After about two weeks of usage I am ready to review this for you guys. Price: INR 250 for 150 gm of product. Packaging is quiet simple as it is a solid product, packaged in cellophane with a paper describing the benefits of the product and its ingredients. I have fine and oily hair,which I wash every alternate day, otherwise it goes all dull and limp. Due to this excessive washing, I try to use natural products for my hair to protect my hair from over drying and harsh chemicals. This shampoo bar caught my fancy while I was surfing online shopping websites, and since it mentioned so many good ingredients, I decided to purchase it. Sometimes, I do this impulsive shopping and this was one of those times. Anyways, the usage instructions were quiet simple and I wet my hair, put this bar on my hair directly and rubbed it. It lathered quickly in one - two rubs, the lather was quiet gentle. Fragrance is quiet mild and unnoticeable, whatever was there was herbal kind of fragrance. What delighted me was the quick and decent lathering of the product. I have used Lush solid shampoo bars and they lather pretty less (less chemicals, so I rubbed my hair a lot with them) and they have a tendency to melt away pretty quickly. This shampoo bar, even after 15 days of use, i.e. 7 - 8 washes, has melted away quiet less, and more than 80% product is still there. It is easily going to last me for 2-2.5 months with my kind of usage. Another plus point for me is zero hair fall. Generally I notice little hair fall in the shower itself, but this gives me zero hair fall with every wash. Pretty consistent, also my hair is super cleaned. The only downside of this otherwise great product is that it tends to make my hair a bit too dry, and application of conditioner is a must afterwards, otherwise my hair is also stringy after two hours. Since I use a conditioner always, this is okay with me. Also, one has to be careful with the storage. I store it in a soap dish away from the shower area, so that it doesn't melt away ! Product rating: A, available here and via online shopping websites. Would definitely recommend this to oily haired beauties, a great product, value for money, and completely natural. 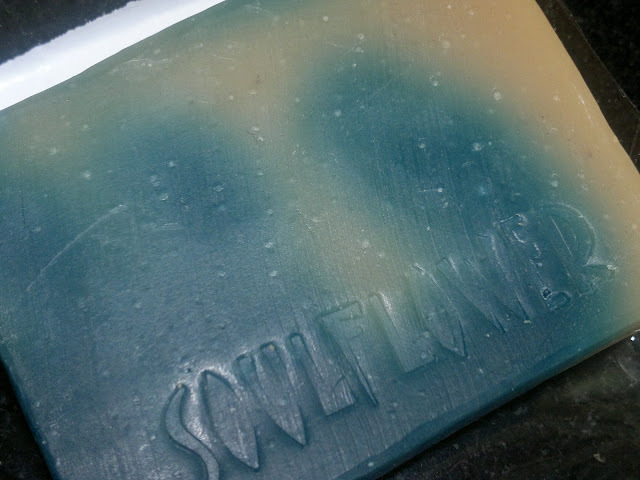 Personally would be buying this again after this one finishes, and am also looking forward to trying more products from SoulFlower. Thanks a lot for the wonderful review. Appreciate your patience and effort to write such a detailed one. 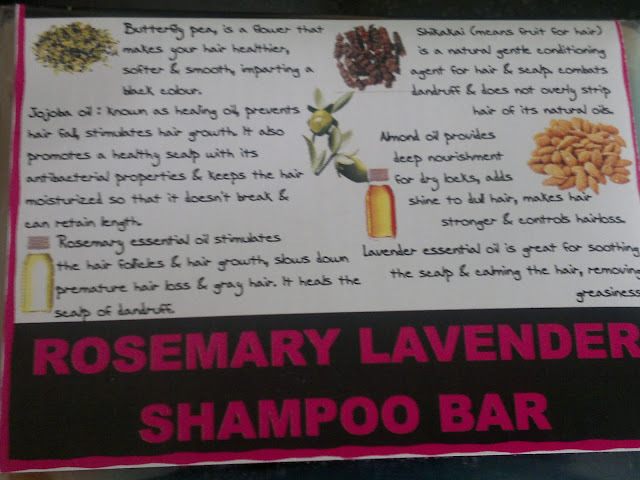 As we describe the product its a shampoo bar and that too without SLS which supports healthy Hair. Also do use a conditioner bar or a conditioner post use of the Shampoo bar.